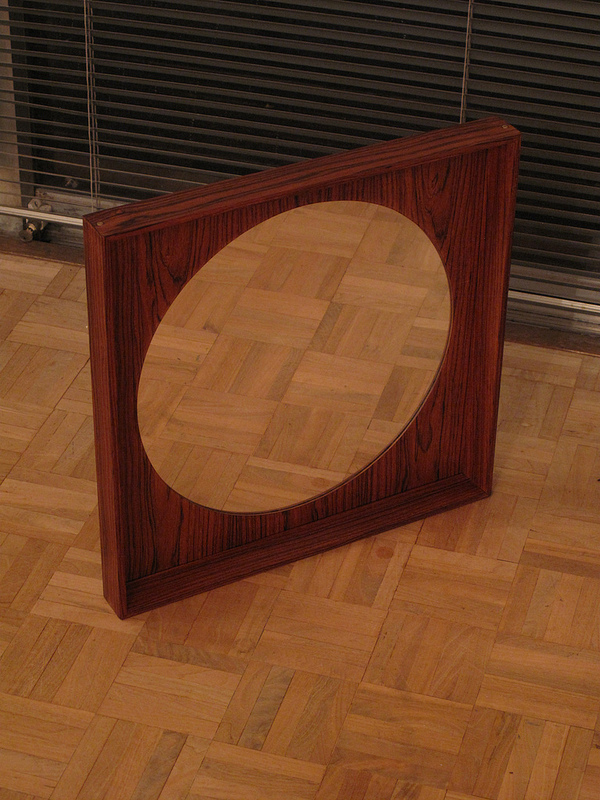 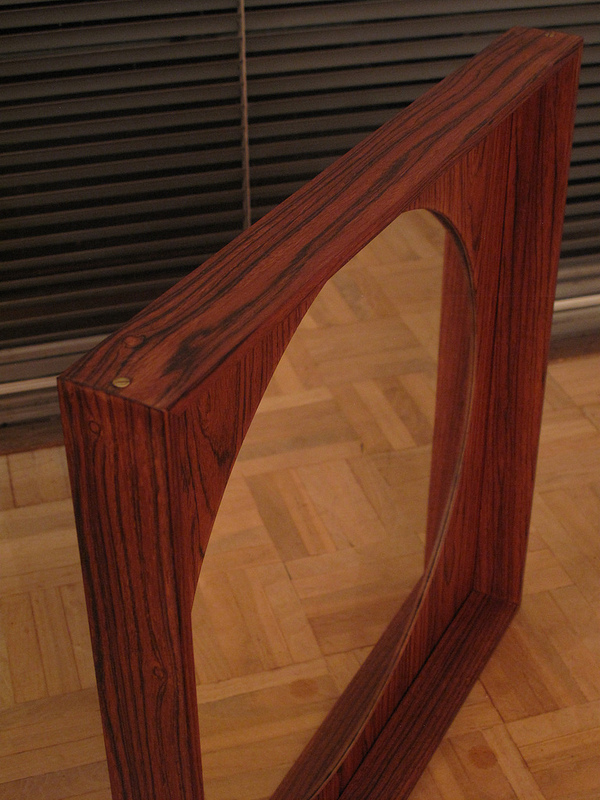 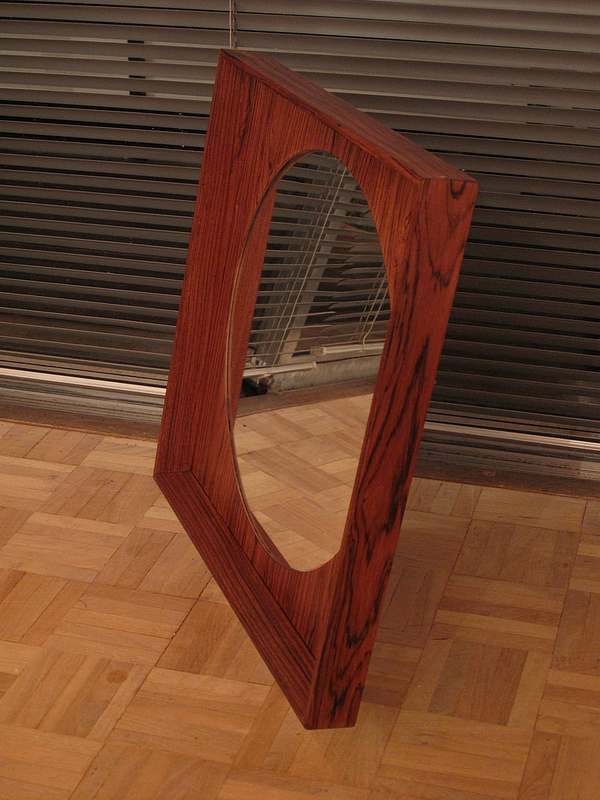 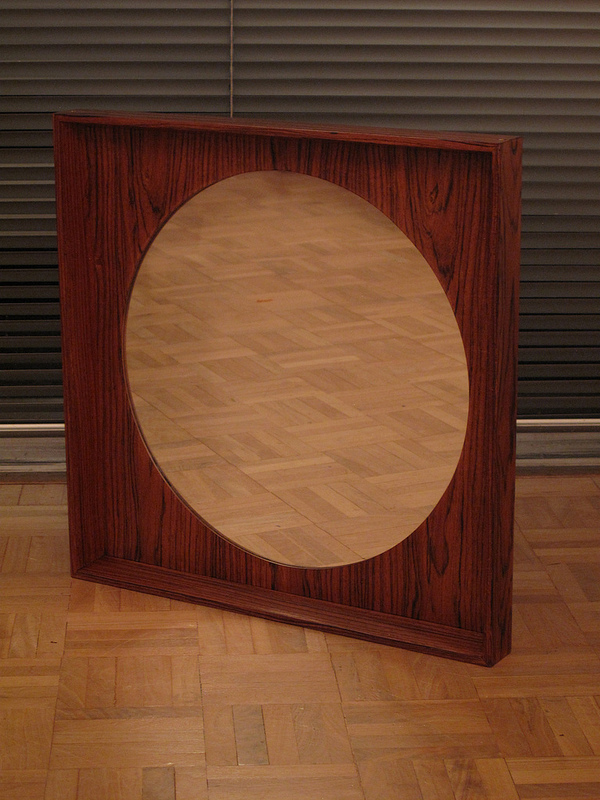 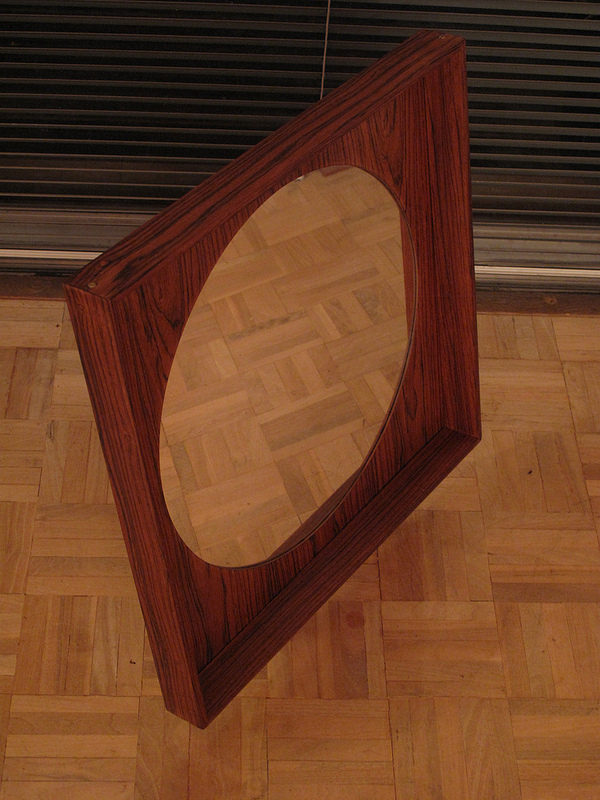 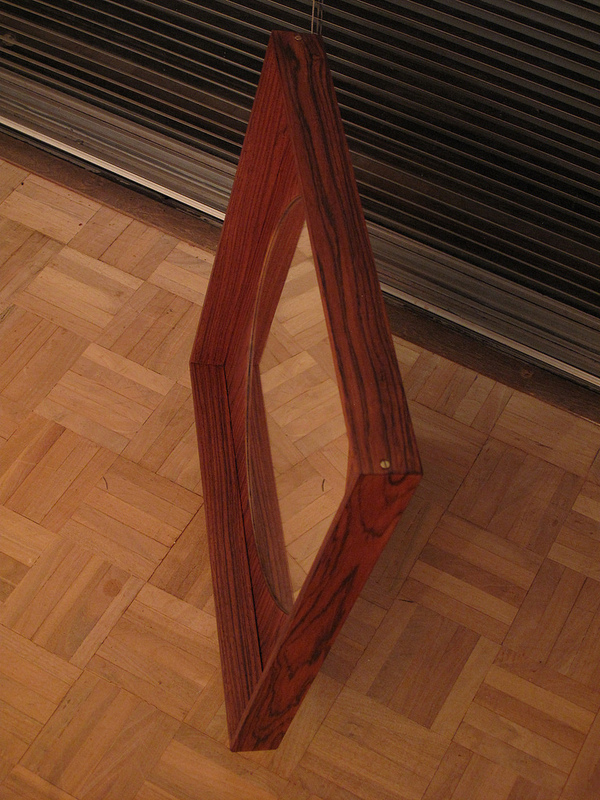 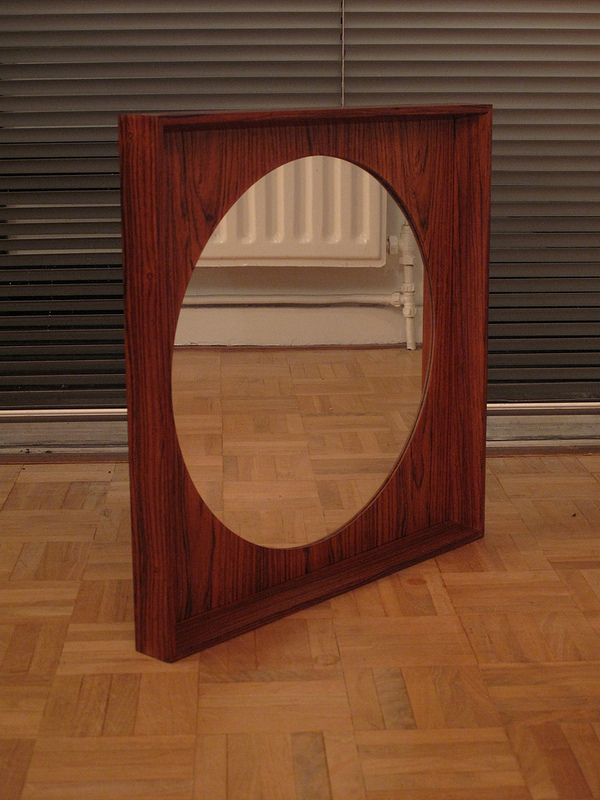 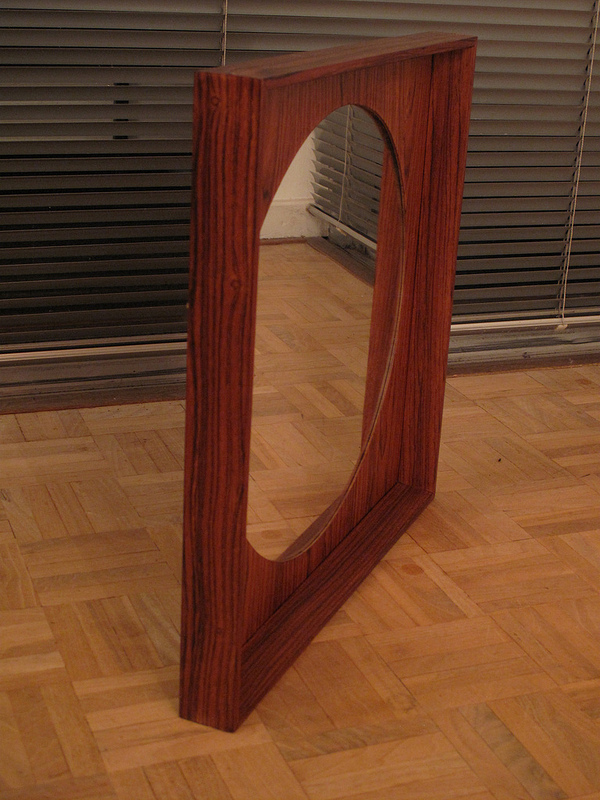 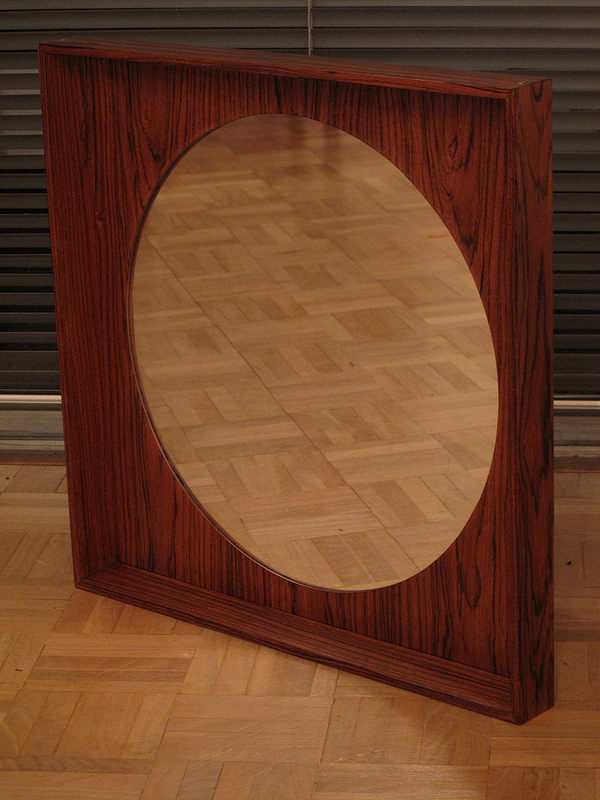 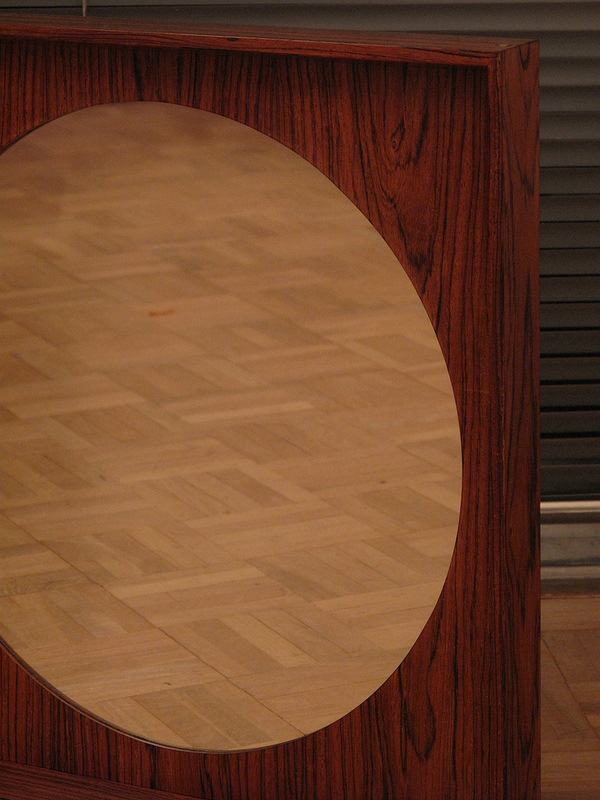 An unusual square framed wall mirror finished in Brazilain rosewood with an attractive beveled edge and circular mirror. 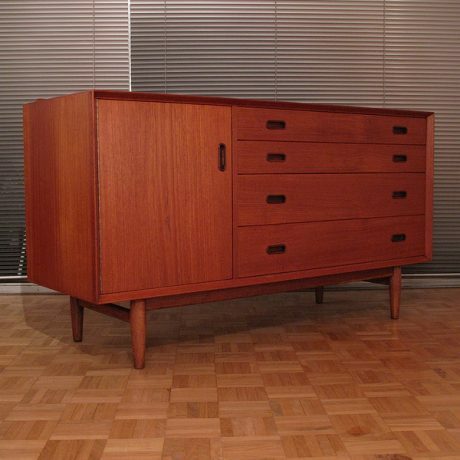 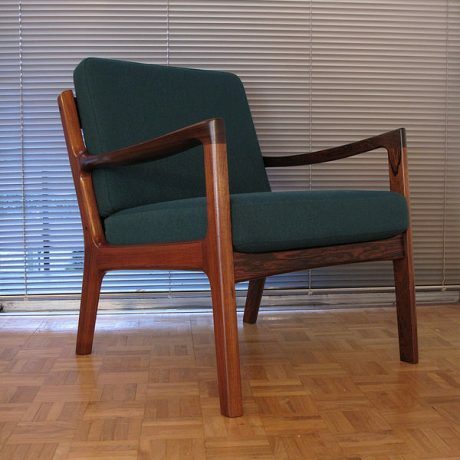 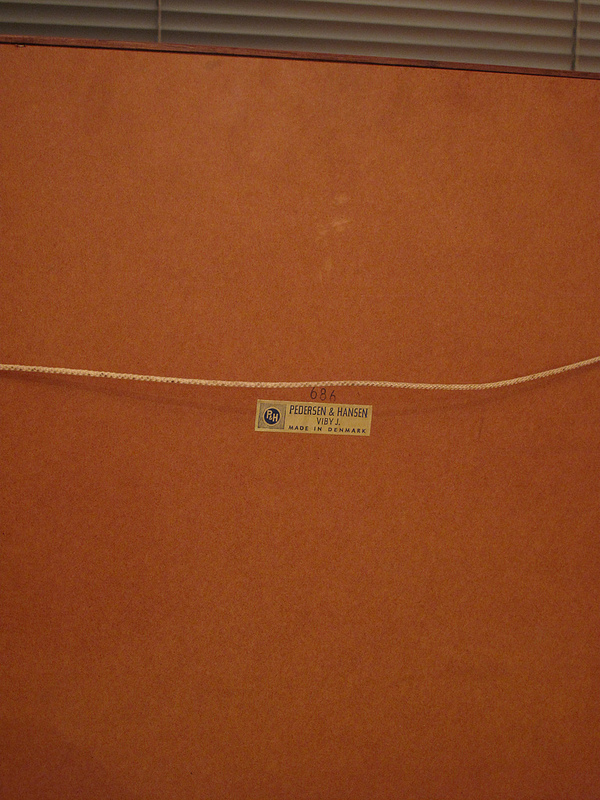 Produced to a very high standard by Pedersen & Hansen of Denmark. 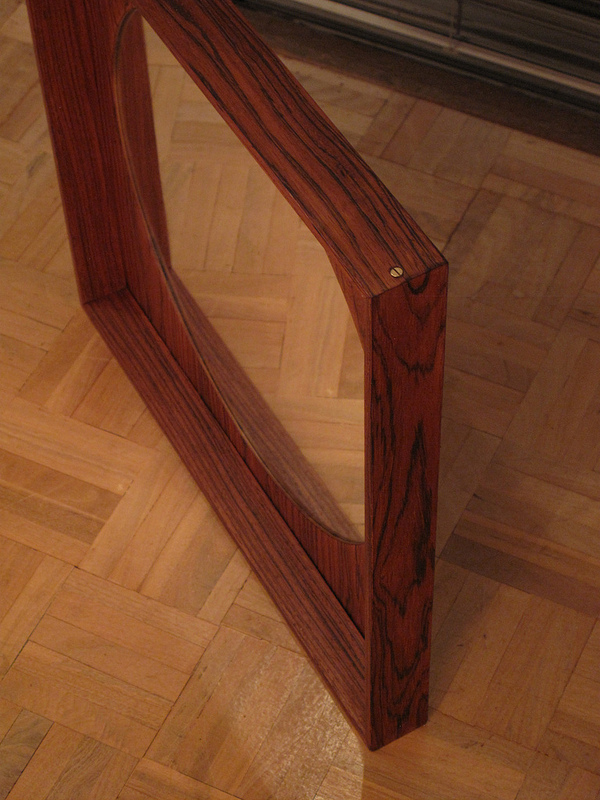 We have not seen another example like this, it appears to be a scarcely seen design.